Elan Sea Lofts Apartment Homes for rent in Oceanside, CA is a hidden treasure. Surrounded by lush landscaping and tropical trimmed palm trees, you are sure to make yourself at home in this classic beach community. You can experience warm sandy beaches, visit the revitalized ocean central business village, or stroll down the Oceanside famous wooden pier. Living at Elan Sea Lofts gives you unlimited access to coastal activities such as water sports and fun-filled recreations. The community has spacious one and two bedroom apartment homes with kitchens equipped with gas appliances and full-size refrigerators, breakfast bars, central heat, wall to wall closets, and patios or balconies in select units. The community also boasts an on-site laundry facility, courtyard with BBQ grill, extra storage room, main entry, gated underground parking, and a service staff that includes a Manager and full-time emergency Maintenance to meet all your maintenance needs. Elan Sea Lofts welcomes cats and dogs; please see our pet policy as some restrictions may apply. 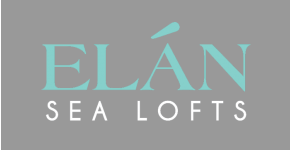 Welcome to your home at Elan Sea Lofts. We are conveniently located west of Interstate 5 and close to Highway 76 and 78. Enjoy major retail shopping and dining at the Westfield Plaza Mall or visit Southern California's famous attractions including LEGOLAND California, SeaWorld, Disneyland, and the world-famous San Diego Zoo. Come and experience the casual coastal spirit of our community.